It goes without saying that Todd Haynes and melodrama go hand in hand. Just as James Cameron is synonymous with action and John Carpenter with slashers, Haynes has made himself the prototypical director of melodrama. The two are philosophically and formally bound together, and unlike slashers and action films, melodrama is a dying art, making Haynes a beacon of hope for people who don’t ascribe to the simplistic notion that melodrama is awful cinema. Haynes does not produce shlock, nor overwrought cinema. He is a director predominantly concerned with cinematic emotion, something he expertly does in Wonderstruck. Taking over the reigns from Douglas Sirk, Haynes has introduced vital societal dialogue with his films, pushing pushes boundaries of cinematic modernity. With I’m Not There (2007), Haynes explored notions of identity and celebritydom. With Carol (2015), the director dove into the world of restrained luscious desire. Haynes has always been a champion of melodrama for its intrinsic quality to be affective, sparse, and yet overwhelmingly intoxicating. There’s a reason why Linda Williams calls melodramas “weepies”–they are emotional experiences that not only drive narrative intrigue but also question societal norms and structures. They are powerful pieces of cinema that rely on affect to subvert, dispute, and unravel conventions that we take for granted. 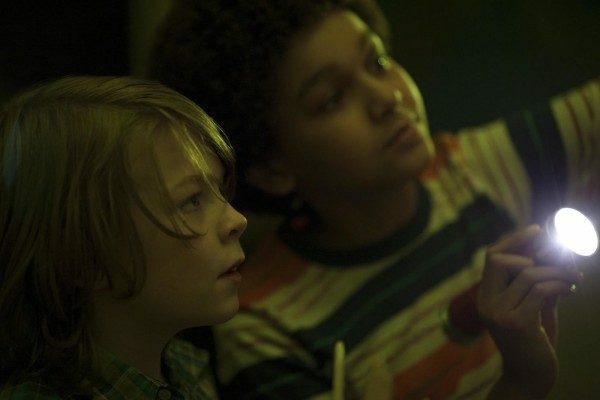 And it seems that Haynes takes his melodramatic ways and explores different facets of it in his newest film, Wonderstruck. Set in two concurrent timelines, Wonderstruck tells the story of two children who are driven by a desire to fit in. In 1977, Ben (Oakes Fegley) is a precocious young child who has recently lost his caring, nurturing mother to a fire. He is alone, scared, and misunderstood. Soon, after a catastrophic incident, Ben is driven to run away from his Minnesota home to search for his father in New York. Fifty years earlier, Rose (Millicent Simmonds), burdened with the same feelings of isolation and yearning to belong, runs away from her father’s New Jersey home in search of the only person she feels understands her–actress Lillian Mayhew (Julianne Moore). What immediately becomes apparent in Wonderstruck is that Haynes is still predominantly preoccupied with pastiche. What was once a pastiche for Douglas Sirk has now transitioned into a pastiche for D.W. Griffith, who some claim to be the founder of cinematic melodrama with his films Way Down East (1920) (which is seemingly explicitly referenced early on in the film), Broken Blossoms (1919), and Orphans of the Storm (1921). Which is to say that instead of focusing on imagery, Haynes has shifted his focus onto sound. The incorporation of emotional soundscapes has always been a strong characteristic of Haynes work for melodrama does not exist without the inclusion of melos. But what was once a predominant focalization on Sirkian technicolor-hued aesthetics has now shifted towards the 1920s formalism of Griffith’s work–that is to say, an overwhelming emphasis on a lack of sound to push along a narrative arc. It’s a taxing filmic experiment, one that Michel Hazanavicius’ The Artist (2011) showcased to be a construct that can easily be subverted and played with in an increasingly postmodern world. 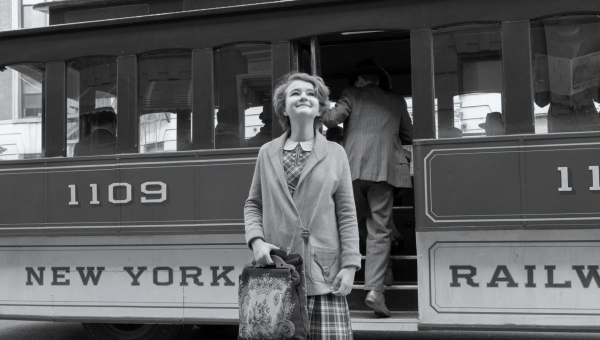 Haynes’ Wonderstruck demonstrates, in so many ways, that diegetic sound in cinema is indeed a construct that we have enshrouded ourselves in through the ages. It is a narrative convention that, if anything, removes much of the emotionality that we as viewers feel when seeing action. And much like Hazanavicius, Haynes’ use of silent cinema conventions showcases that music (and the singularity of it) is much more powerful in invoking emotion, affect and empathy in viewers than conventional “talkie” norms. But unfortunately, that is perhaps the best part of the film. The contemporary timeline, while emotive and intriguing, pales in comparison to the nostalgic views of 1920s New York. There, the magic and wonderment is as strong as the formal aspects of the film will let it be. And while Haynes was able to construct an enticing 1970s diegetic world in the overlooked Velvet Goldmine (1998), Haynes is seldom able to achieve the same sort of magical realism in Wonderstruck. Haynes has explored the brilliant humanism that is intrinsically involved in childhood wonderment in his latest outing. Whether it is the From the Mixed-Up Files of Mrs. Basil E. Frankweiler inspired narrative or the innocuous precocious naivete of the kids, Haynes constructs a diegetic world that showcases a childlike earnesty that few other films hope to achieve. And at the same time, the Oscar-nominated filmmaker is able to carve out a complexly poignant and touching look into loss, perseverance and finding a home–wherever or whatever that may be after our heroes’ respective journeys. 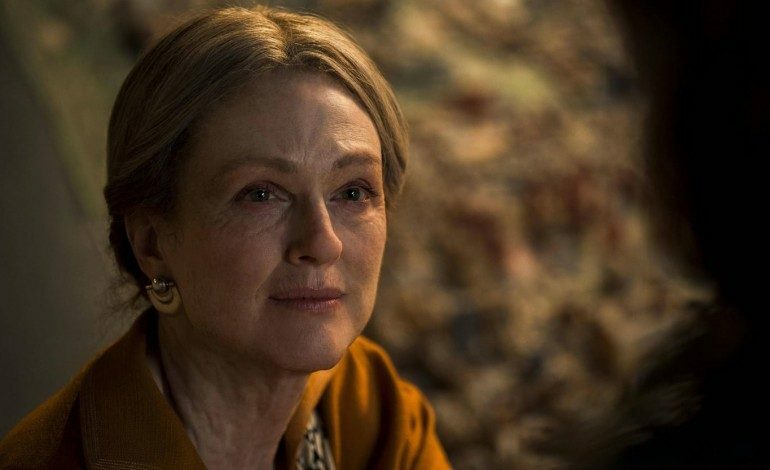 Coupled with the phenomenal performances from up-and-comer Oakes Fegley and Haynes-regular Julianne Moore, Wonderstruck is one of Haynes’ most magical and inspiring melodramas to come out in years.